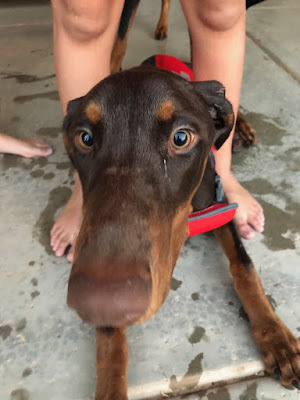 I have a new running buddy Doby the Doberman puppy which many of you have met. I’m a NERD! I’m a Family Nurse Practitioner currently working on my Doctorate in Nursing Practice and I love to read. 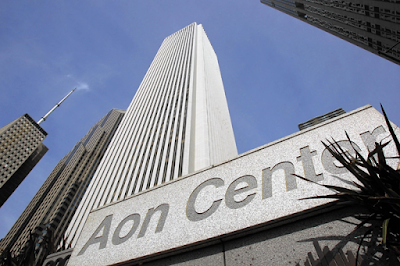 When I lived in IL, I completed the AON building 80 story climb in about 15 minutes. As with many people, I started running with the goal of getting into shape. Now my running time serves as my social hour. I joke around about converting all of my friends into runners, but it’s true. It’s great to meet up with a friend and chat while running. Finding STTR through Cadence was just icing on the cake! I run with this group purely for the camaraderie. My most memorable race was the San Tan Scramble (Jan 2017). 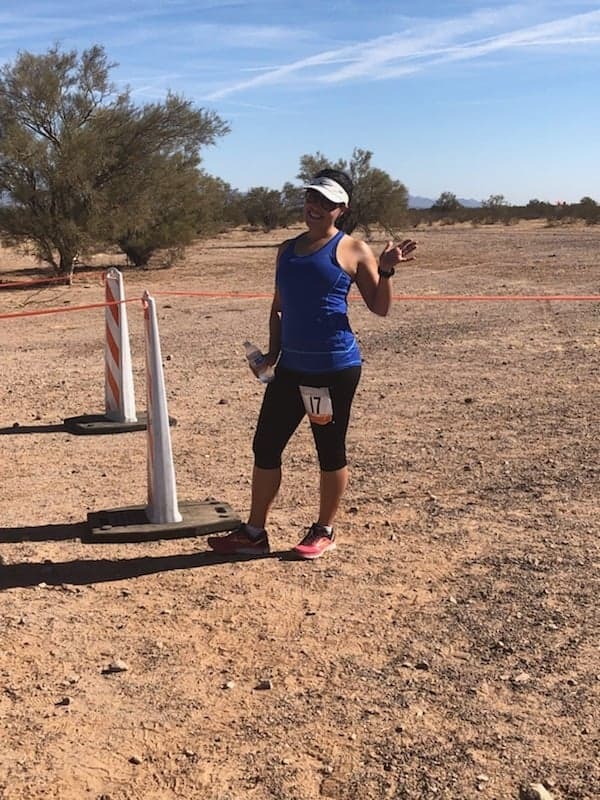 It was my first trail running race. The reason it’s so memorable is that I registered for it well in advance and over time the distance I thought I signed up to run got shorter 😊. On the day of the race, I kept looking at my Garmin watch and wondering why I was so far from the visitor’s entrance when the race was almost over. I had to ask how many miles were left in the race at a water station. I don’t recommend starting a 16-mile race thinking it’s only 11 miles. Advice To The New Folks? I would tell a new runner that running is FUN! Sometimes it’s hard to get up in the morning for a run but once I get outside, I never regret it!